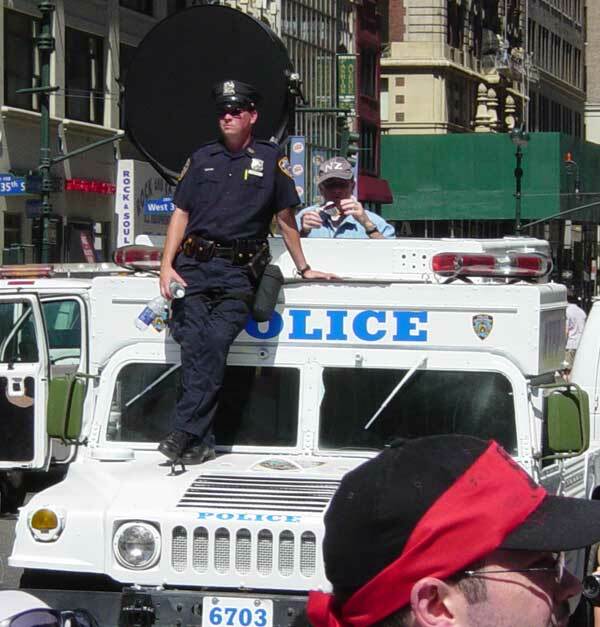 MANHATTAN (CN) — To learn how the New York City Police Department deploys sound cannons, the average citizen should simply be able to fire off an email under the state’s Freedom of Information Law. That’s the conviction that guided Keegan Stephan to sue the NYPD last year for details about its use of crowd-control weapons known as LRADs, short for Long Range Acoustic Devices. A politically active student at Yeshiva University’s Cardozo Law School, Stephan brought a federal civil rights lawsuit last year with five others, challenging how police use these devices. The deal Stephan reached on his own Thursday with the NYPD, however, could have much broader implications for police accountability. To the average New Yorker, these two sentences might not mean much, but Stephan believes the commitment could spell a new era of transparency for journalists, open-government activists and concerned citizens. In Stephan’s other sound-cannon case, he is part of a group of activists, journalists and filmmakers who all claim to have suffered hearing damage after police deployed the weapon indiscriminately at a Black Lives Matter protest in December 2014, two days after a grand jury declined to indict the police officer who killed Eric Garner. Standing with their attorney on June 1, 2017, a group of journalists gathered outside the courthouse where they are suing police over their use of sound cannons as a method of crowd control. A federal judge in Manhattan refused to dismiss their case a day earlier. U.S. District Judge Robert Sweet advanced assault and excessive-force allegations in this case on May 31. As the challengers slog through the discovery, Thursday’s settlement gives evidence collection a shot in the arm. The NYPD must provide recordings of police communications from the days of the protests, charts depicting the use of LRADs, and training materials and emails related to the devices. Elena Cohen, an attorney with the National Lawyers Guild who represents Stephan in both the open-records case and the civil-rights action, said the settlement will update and democratize the NYPD’s once-analog practices. “This settlement makes requesting public documents more accessible and affordable for the public, recognizing that our right to be aware of governmental actions should not be thwarted by shrouding it with the cloak of secrecy or confidentiality- or the needless expense and time of paper mailing in our digital age,” Cohen said in a statement. The NYPD has 90 days to update its website with the new protocols. A spokesman for the city declined to comment on Stephan’s settlement.